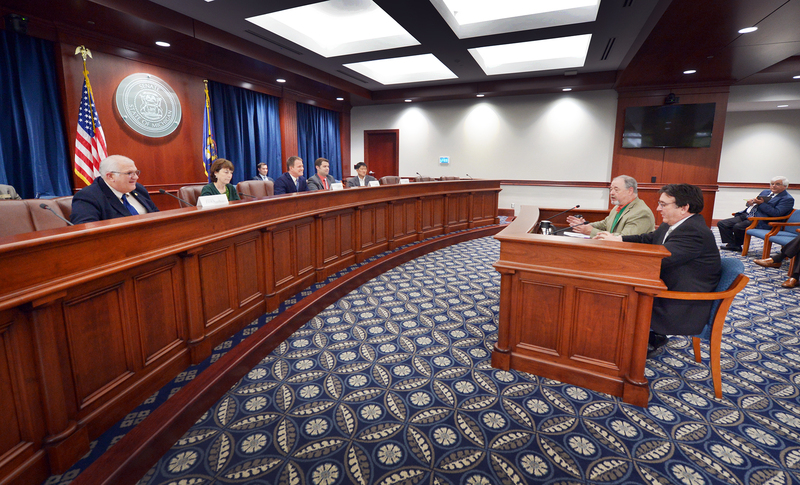 LANSING, Mich. — Sen. Dale Zorn on Thursday participated in the first meeting of a new education subcommittee as it reviews the Michigan Merit Curriculum (MMC). 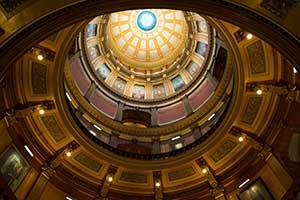 In Thursday’s meeting, the subcommittee heard from former Lt. Gov. John Cherry and St. Clair Superintendent Dan DeGrow about the 2004 Commission on Higher Education and Economic Growth. Cherry headed the commission, which was created by Gov. Granholm in 2004 to help double the number of Michigan college graduates in 10 years and ensure that Michigan provided residents with the necessary skills for the jobs of the 21st century. As a result of the commission’s recommendations, the state enacted the MMC in 2006. Since that time, Michigan students have been required to obtain, as a condition of receiving a high school diploma, a minimum of 18 credits in eight specific subject areas. Photo caption: Sen. Dale Zorn, R-Ida, (left) listens as former Lt. Gov. John Cherry and St. Clair Superintendent Dan DeGrow discuss the 2004 Commission on Higher Education and Economic Growth. Zorn is a member of a new education subcommittee reviewing the Michigan Merit Curriculum, which was enacted in 2006 as a result of the commission’s recommendations. LANSING, Mich. — Sen. Dale Zorn, R-Ida, on Saturday presented a posthumous Congressional Gold Medal in honor of Burnell Brandeberry’s service with the Civil Air Patrol during World War II before enlisting in the U.S. Army Air Corps. Brandeberry is survived by his wife of 67 years, Ardith, who accepted the medal on his behalf. Sen. Dale Zorn, R-Ida, on Saturday presented a posthumous Congressional Gold Medal in honor of Burnell Brandeberry’s service with the Civil Air Patrol during World War II before enlisting in the U.S. Army Air Corps. 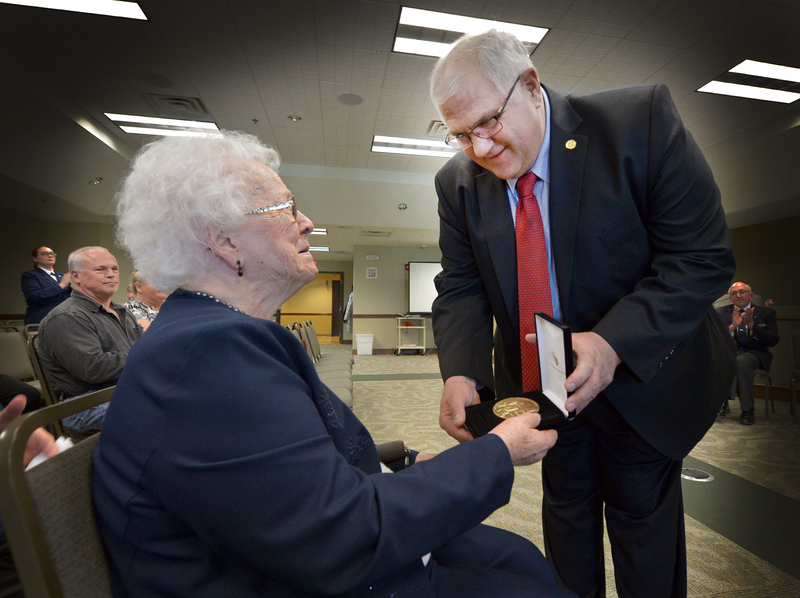 Brandeberry is survived by his wife of 67 years, Ardith, who accepted the medal on his behalf. 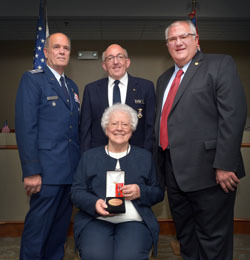 Pictured with Brandeberry (seated) from left are: Lt. Col. Mark Woodruff, vice commander of the Michigan Wing Civil Air Patrol; Col. Curtis Boehmer, Michigan Wing commander; and Zorn. 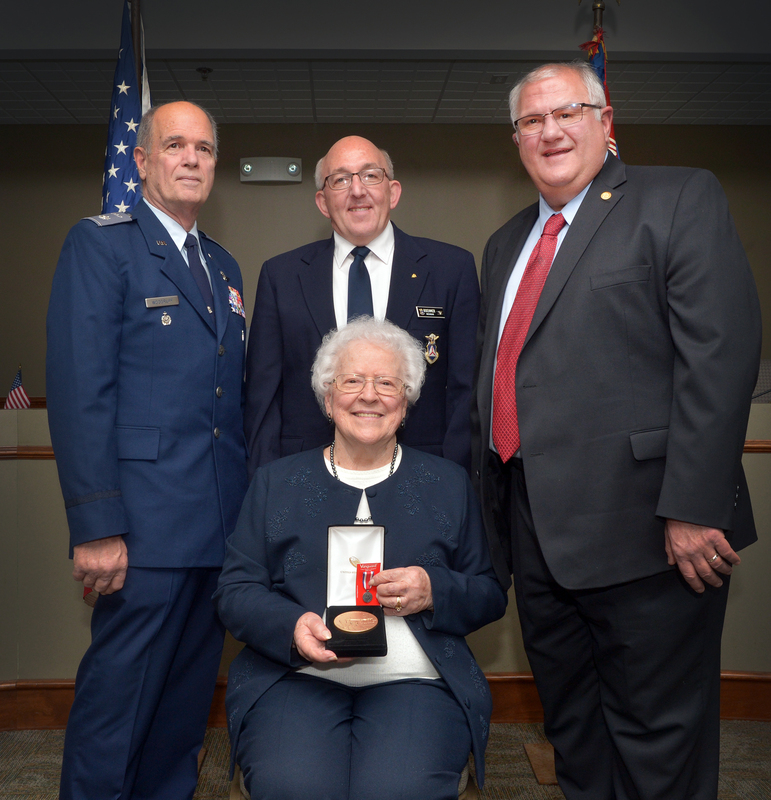 Sen. Dale Zorn, R-Ida, on Saturday presented Ardith Brandeberry with a Congressional Gold Medal, posthumously honoring her late husband’s service with the Civil Air Patrol during World War II. Burnell Brandeberry served in a squadron based in Adrian, where he learned to fly and earned his wings before leaving to train as a B-29 tail gunner in the U.S. Army Air Corps. Upon discharge from the Army, Brandeberry studied education and became a teacher at schools in Illinois and Ohio. He also served as an elementary school principal in the Toledo area, where he retired. Brandeberry died in 2013 at the age of 86. LANSING, Mich. — Sen. Dale Zorn has announced that he will conduct a district coffee hour in Adrian on Friday, April 28. The coffee hour will be held from 10 to 11 a.m. at the Adrian District Library, 143 E. Maumee St. in Adrian. LANSING, Mich. — Sen. Dale Zorn will be presenting a posthumous Congressional Gold Medal to Burnell Brandeberry on Saturday in Temperance. Brandeberry is survived by his wife of 67 years, Ardith, who will be receiving the medal on his behalf. Area veterans and community leaders. A posthumous presentation of the Congressional Gold Medal to Burnell Brandeberry. Saturday, April 15 at 6 p.m.
On May 30, 2014, President Obama signed Senate Bill 309, a bipartisan bill awarding the Congressional Gold Medal to World War II members of the Civil Air Patrol. On Dec.10, 2014, Forty-six Civil Air Patrol World War II members were awarded the medal in Emancipation Hall at the Capitol. Following the presentation, the Civil Air Patrol began searching for other wartime members, both living and deceased, to perform similar presentations in their local communities. The medal is presented in honor of Brandeberry’s service with the Civil Air Patrol during World War II, before enlisting in the U.S. Army Air Corps. Brandeberry served in a Squadron based in Adrian, learning to fly and earning his wings before leaving to train as a B-29 tail gunner in the U.S. Army Air Corps. Upon discharge from the Army, Brandeberry studied education, earning his Master’s Degree in Education Administration from Bowling Green State University, and became a teacher at schools in Illinois and Ohio. He also served an elementary school principal in the Toledo area, where he retired. Brandeberry died in 2013 at the age of 86.